The idea for this book stemmed from a conversation I had with Natasha in 2014. We’d seen the film Moneyball which describes the astonishing success enjoyed by an American baseball coach who trusts data rather than “gut feeling” or experience when buying and selling players. Could we apply similar principles to chess? Perhaps it could give us insight into why some players manage to maintain their strength over their careers while others fall away? For Natasha and I – in our forties, with busy jobs, but mad on chess – this subject was particularly close to our hearts! Could we discover the secret of chess longevity? I learnt chess from my dad after we got a chess book from a special offer on a cereal packet, and I became hooked at age 8 following a camping accident; I needed stitches in my toe and all I could do for the rest of the trip was sit and play chess! I studied maths at Cambridge University. At the same time I was an active member of the Cambridge University Chess Club, edited the club magazine, and I played in the annual Varsity chess match against Oxford University. In my 3rd year I became the first female player ever to play above Board 8 (formerly known as the ladies’ board). I made my debut for the England women’s Olympiad team in Manila just days after my finals in 1992. I qualified as an actuary in 1998 and have worked in a variety of insurance roles including capital modelling for Direct Line insurance, and currently as a regulator, writing technical standards for actuaries. I played chess during this time of course, and was listed as one of England’s most prolific players in the mid 1990s, although I admit it became harder to remember my opening theory. I love writing about chess. 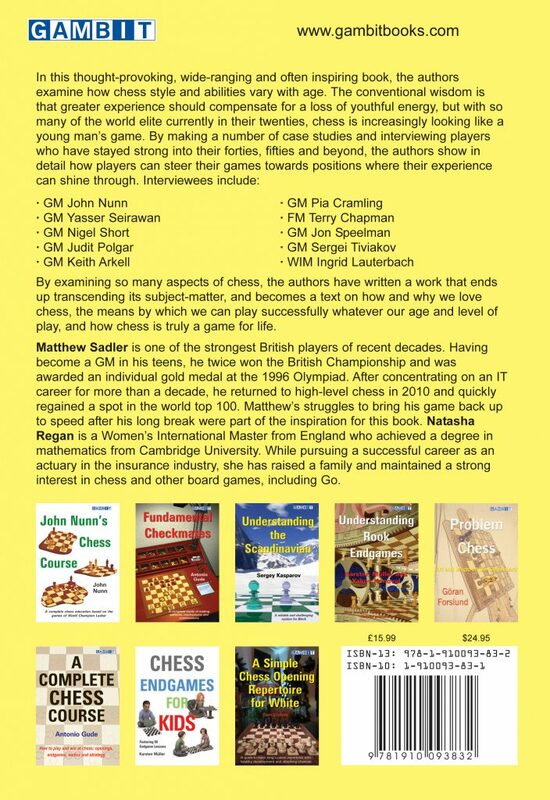 I am happy to have teamed up with GM Matthew Sadler, co-authored ‘Chess for Life’, and to have spoken with the amazing role models in the book.